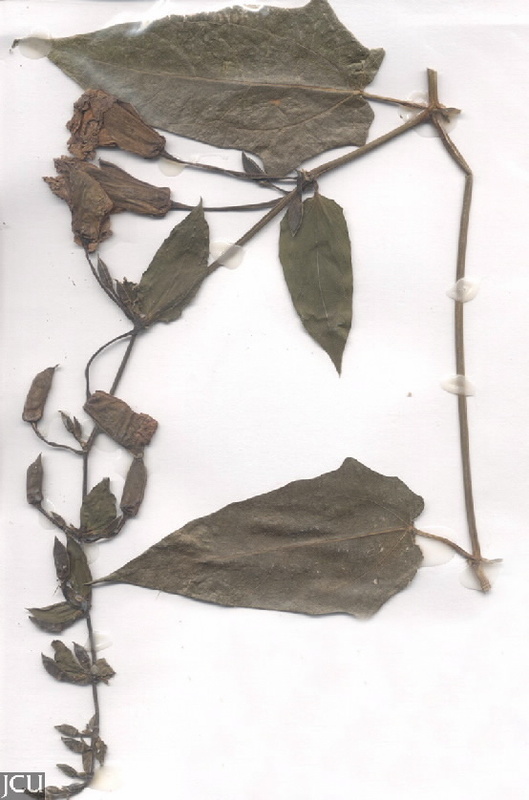 This robust vine is a declared plant. It spreads chiefly by fragments derived from the tuberous roots as well as suckers. The weight of a mature plant can pull down supporting vegetation. There is a specimen growing against the wall of DB22. Leaves are more-or-less triangular, maybe irregularly lobed, somewhat hastate at the base to 15 cm long, 10 cm wide. Flowers are trumpet-shaped to 8 cm long, whitish on the outside and blue to mauve on the inside. 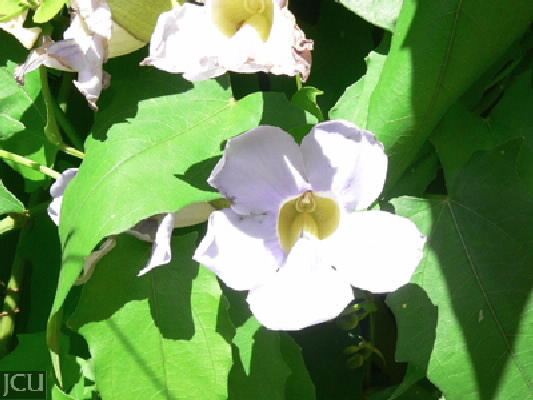 Thunbergia laurifolia is similar but the flowers are pale mauve whilst T. fragrans has smaller, white flowers.